USA, c.1932. 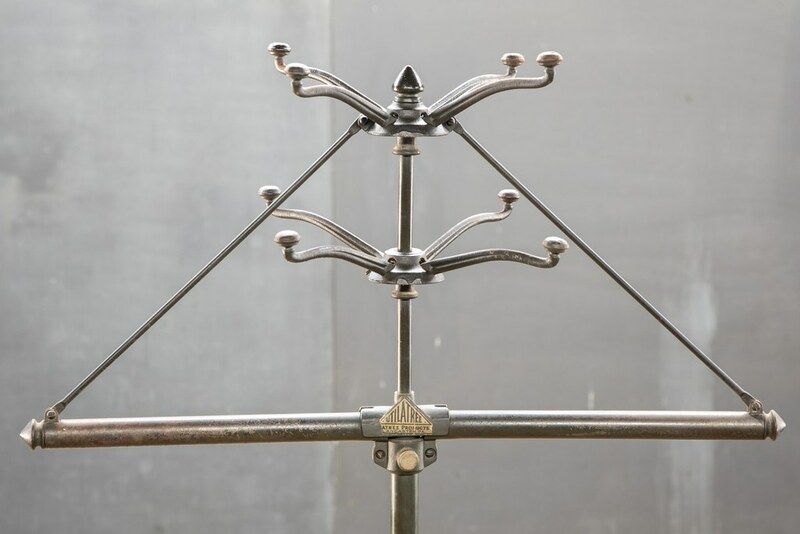 Vintage Industrial Traveling Field General's Portable Folding Clothing Rack. 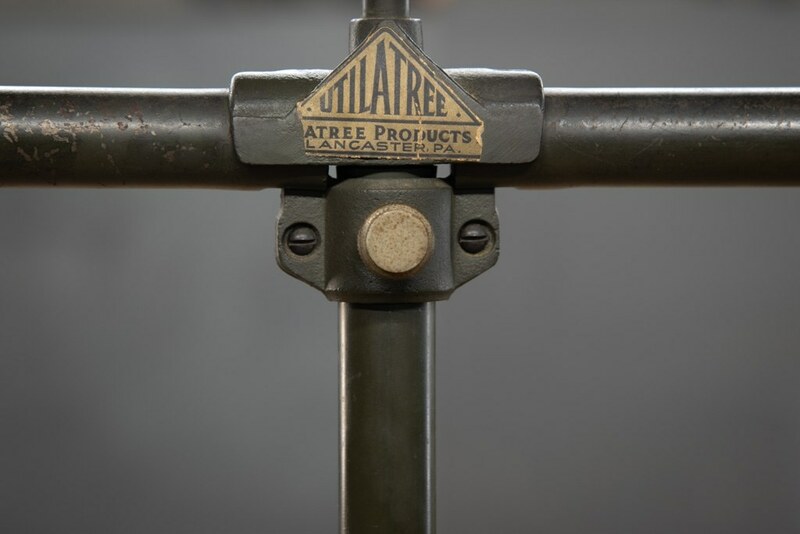 Utilatree, Designed by L. R. Zifferer. 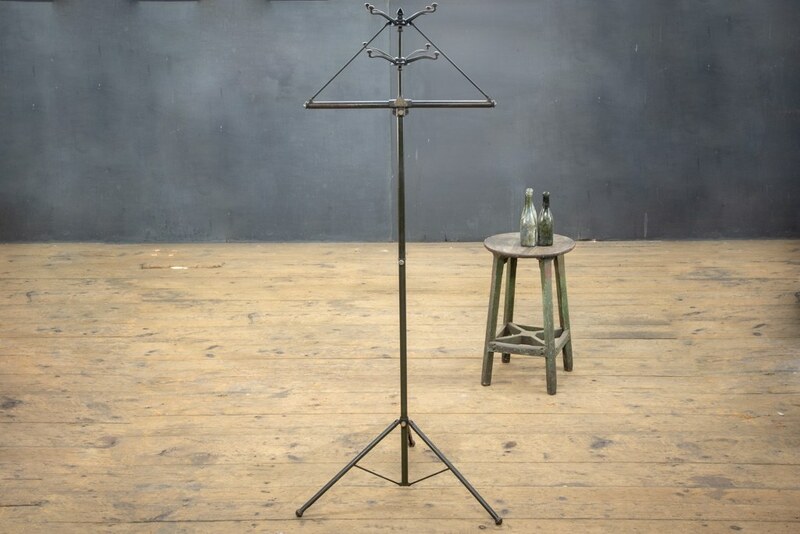 Lancaster, PA, Steel, Cast Iron, Copper and Brass Construction. 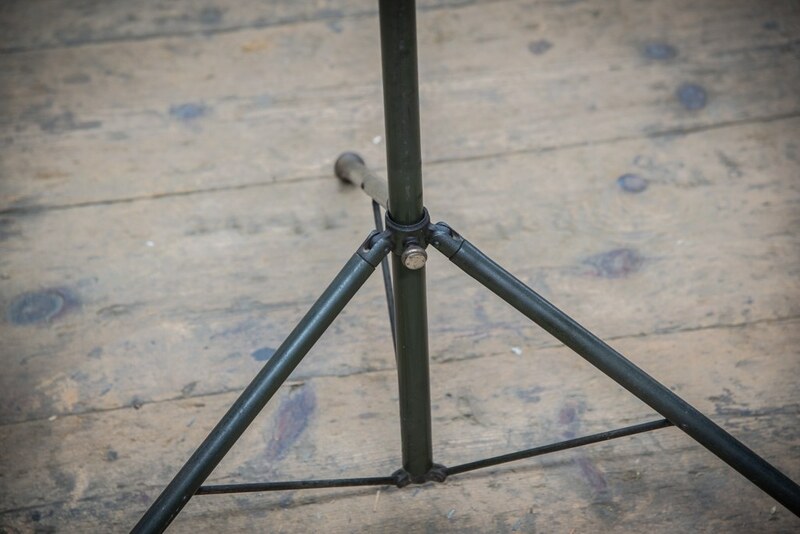 Tripod Design. Excellent Condition. W: 26½ x H: 73 in.